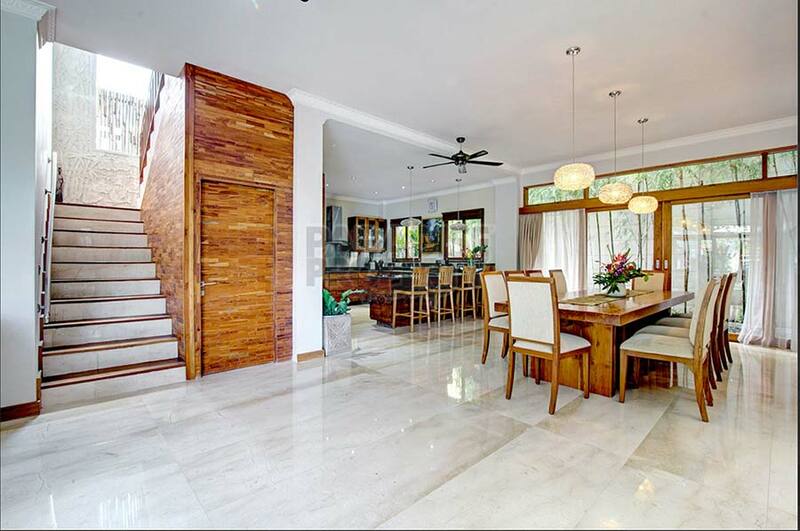 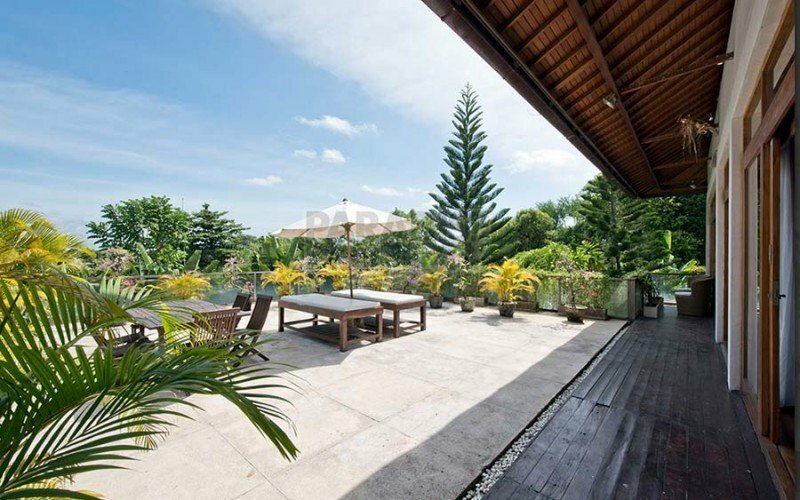 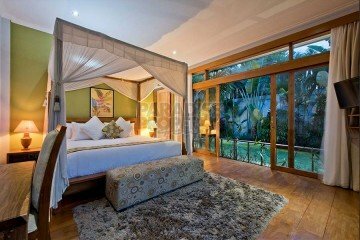 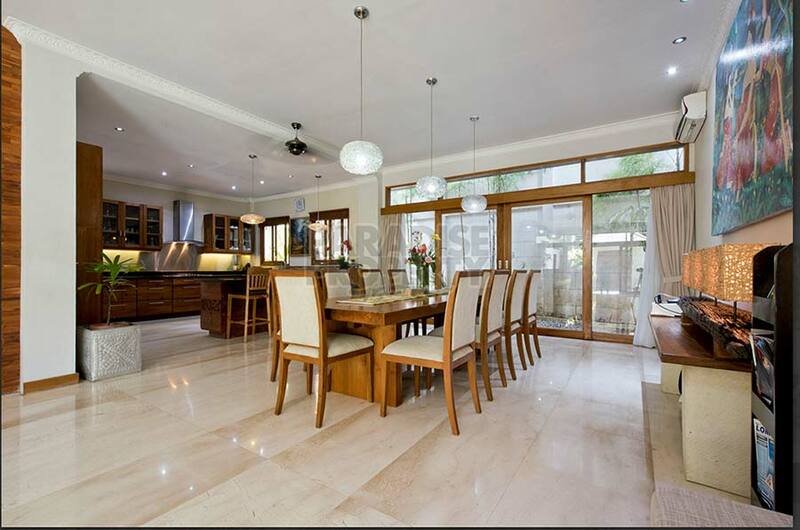 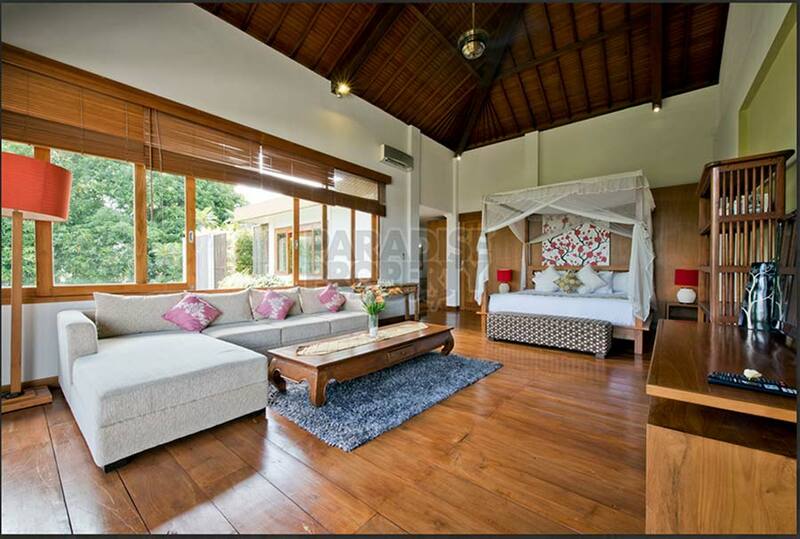 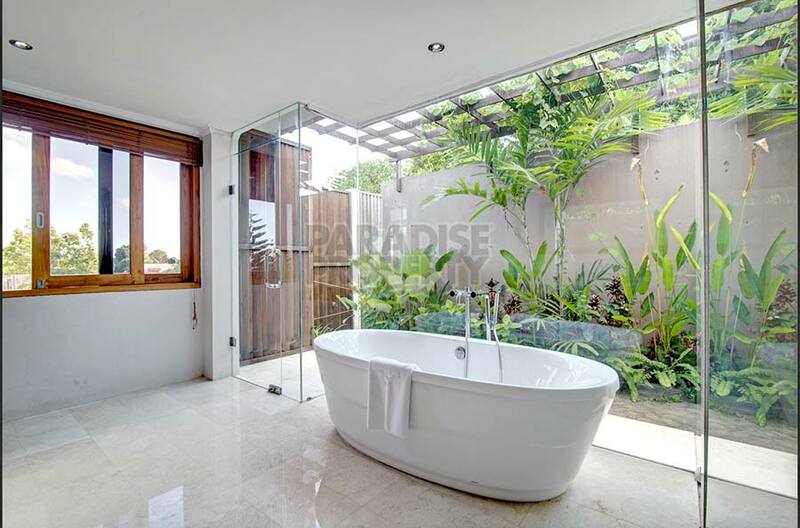 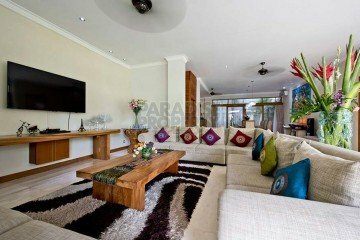 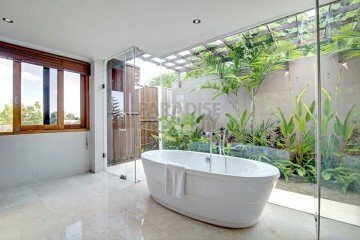 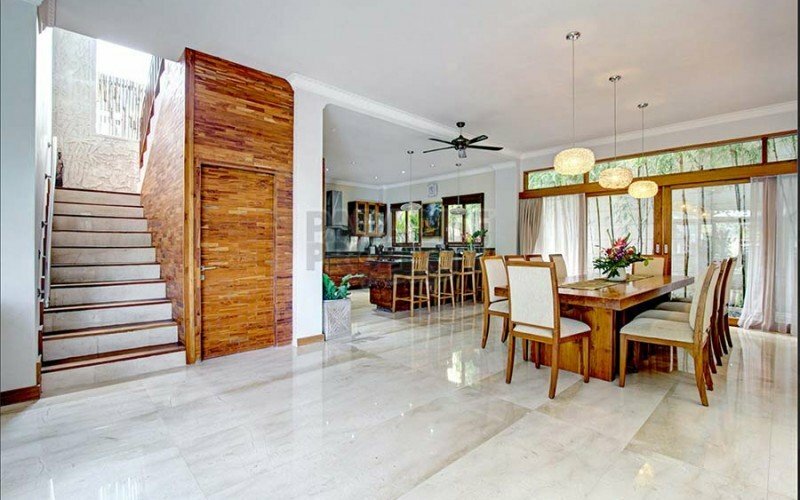 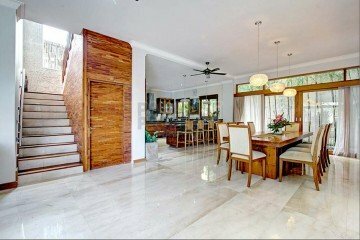 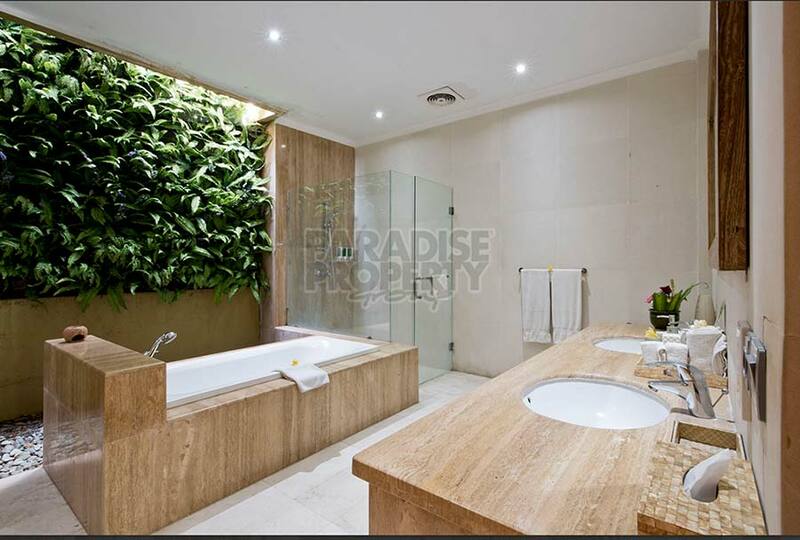 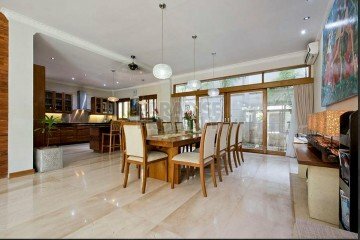 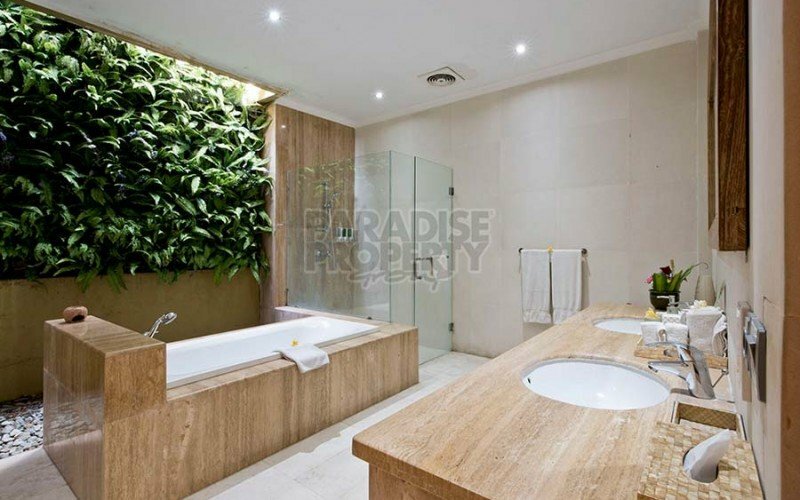 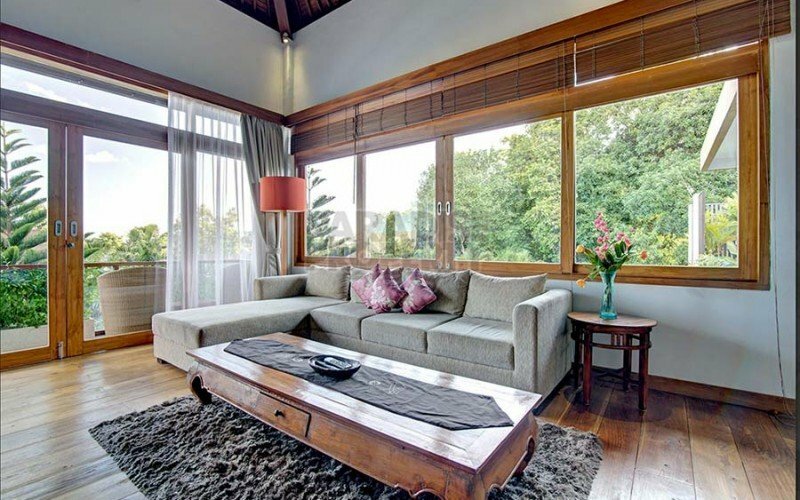 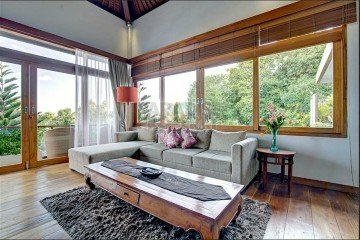 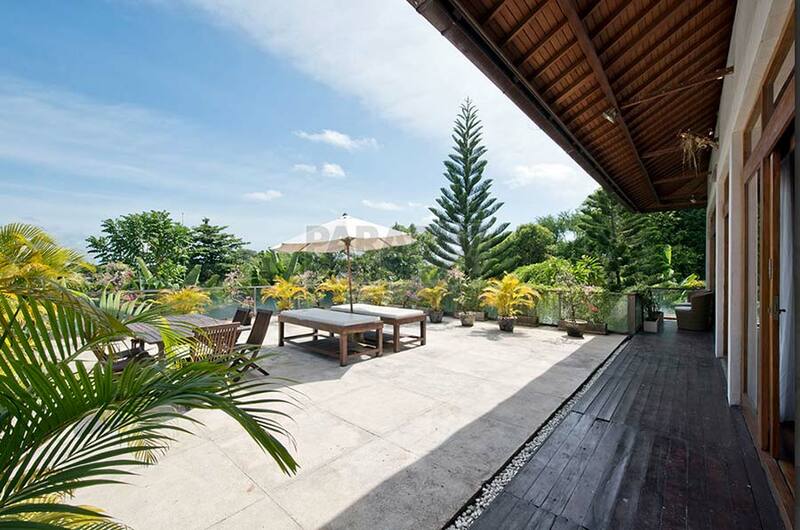 This spectacular villa of 5 bedrooms is set in a plot of 800m2 (8 are) in a quiet location in Kerobokan. 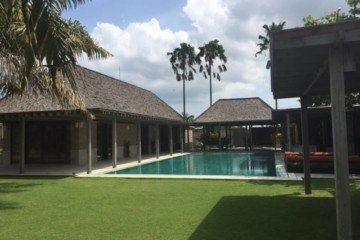 The ground floor begins at the carport with space for two vehicles and the office/staff area building next to it. 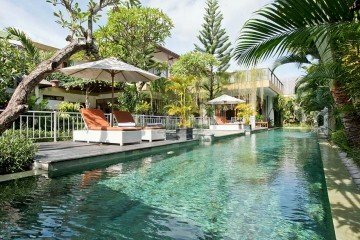 Beyond the carved entry doors, guests step into a lush garden which surrounds the inner property including the 25 meter pool, kids’ pool and an ironwood deck. Next to the pool there are 2 large bedrooms with en suite bathrooms. 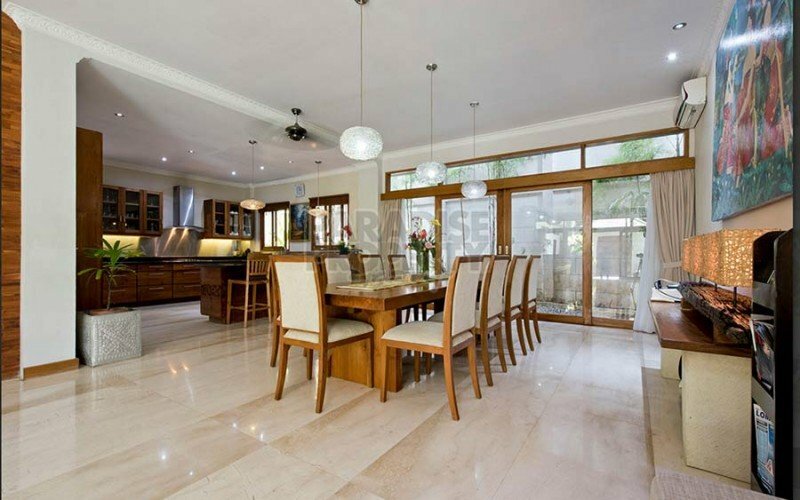 The spacious dining with living area is perfect for entertaining the family and guests. 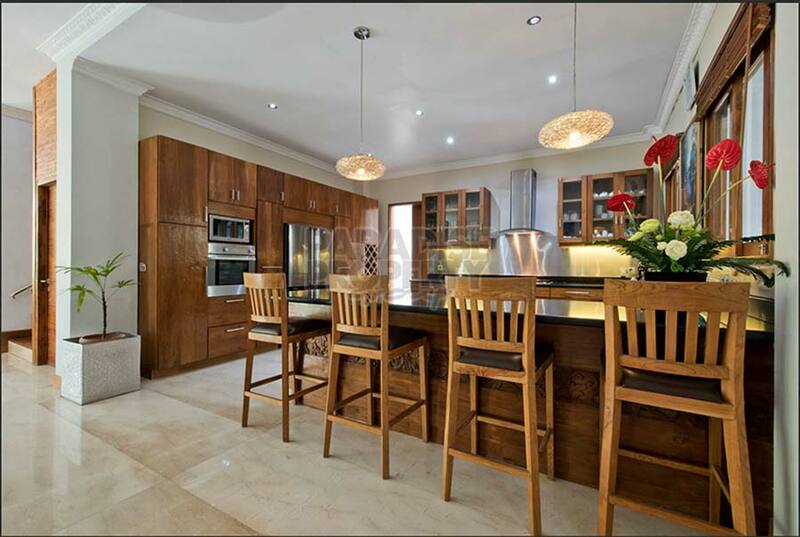 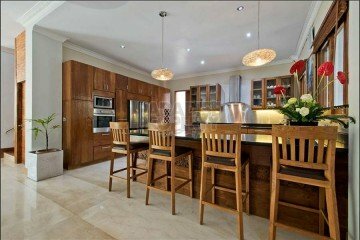 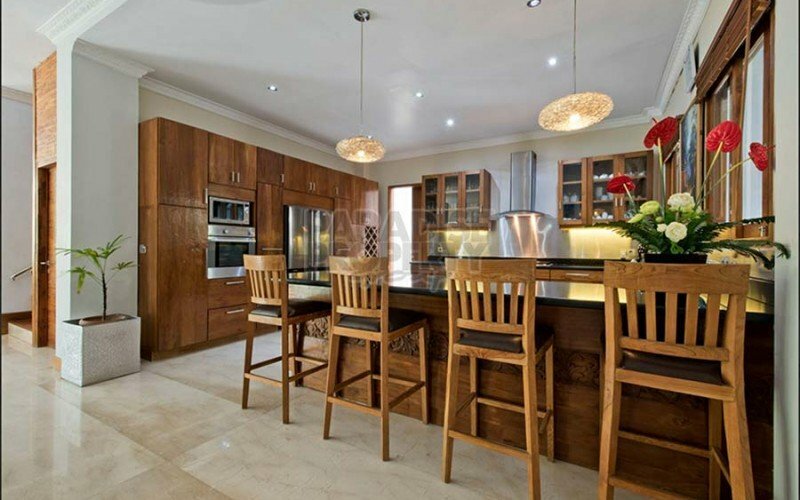 The adjacent kitchen is equipped with the latest electrical appliances, utensils, etc. 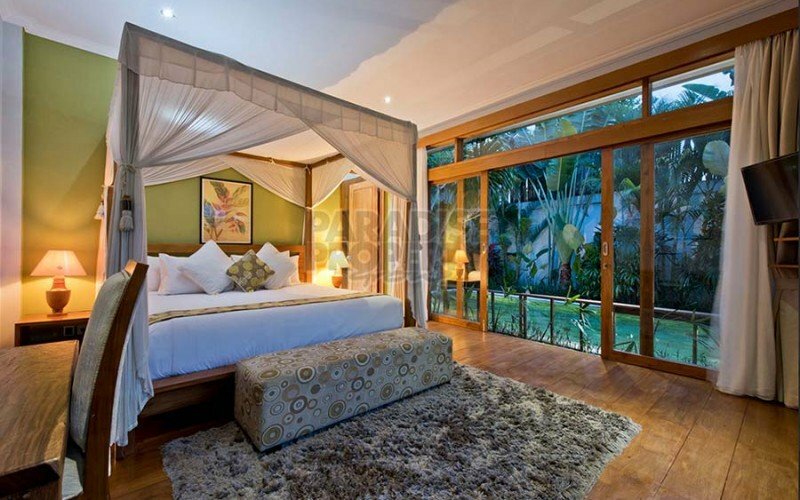 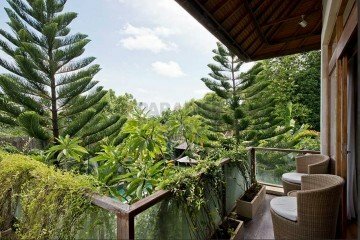 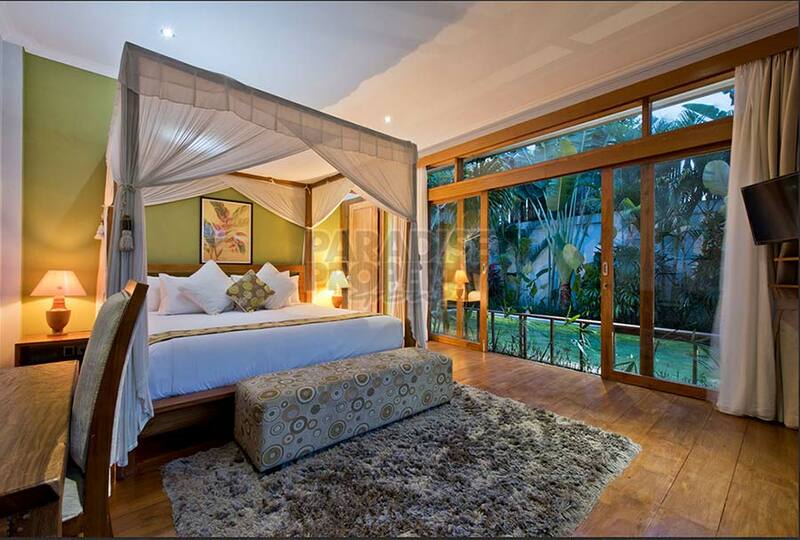 From the living/dining area, you can view the garden full of lush tropical plants and the huge swimming pool. 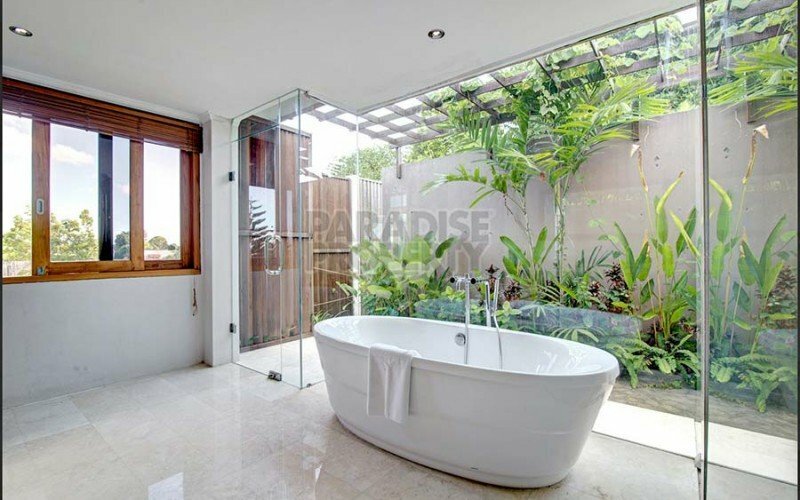 All five bedrooms are beautifully decorated with air conditioning, walk in wardrobes and marble bathrooms with sunken baths overlooking tropical gardens and water features. 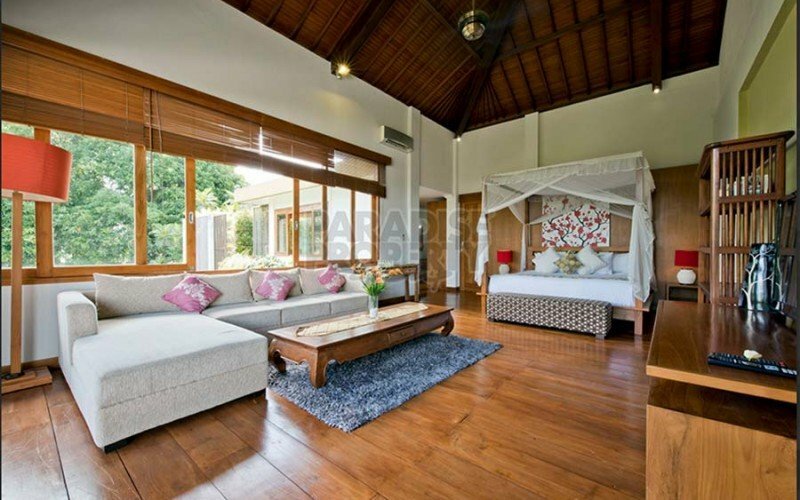 The three bedrooms have king size beds and one has twin beds for the children. 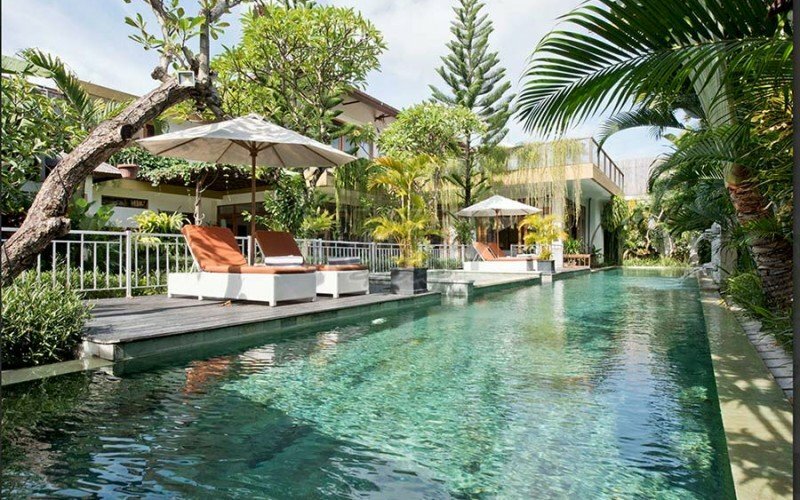 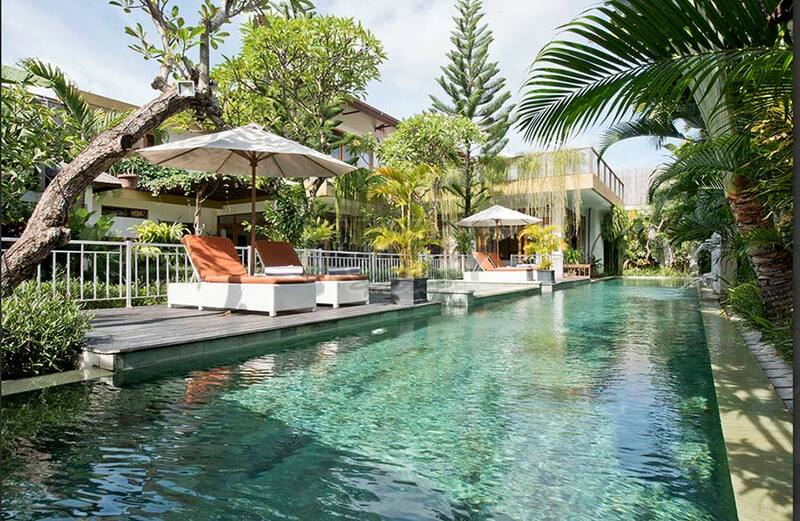 A short drive from the villa will bring you to the many chic restaurants, flagship stores, beach clubs, vibrant nightspots and sumptuous spas of Bali’s hip and happening Seminyak area of Petitenget. 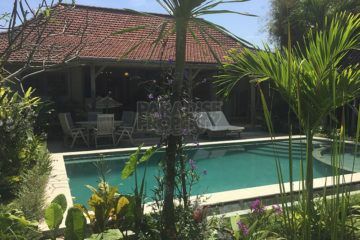 Ngurah Rai Airport is a 25 minute drive away from the villa.